Andhra Pradesh District Selection Committee (AP DSC) has been postponed. Over six lakh candidates have to appear for the TRT and TETcumTRT 2018 exam to fill 7,729 posts. The exam was scheduled to be held on December 6, 2018. 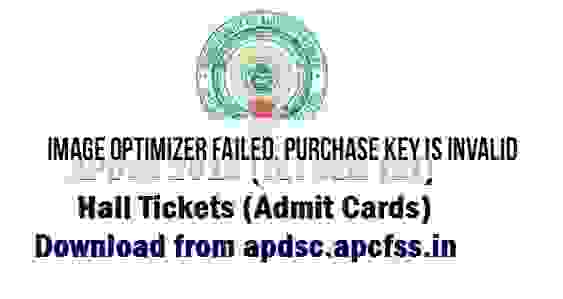 AP DSC 2018 hall tickets or AP DSC 2018 Exam Admit Cards are also been released on the official website apdsc.apcfss.in. The Andhra Pradesh Human Resource Development Minister, Ganta Srinivas Rao reportedly said that he has been receiving requests form candidates to postpone the exam. While the TRT and TETcumTRT 2018 will now be conducted from December 10, 2018, onwards, the AP DSC 2018 Exam admit cards for the same have been released today. According to TOI report, the decision was taken after many candidates requested both the minister and the officials of education department to postpone the exams as they felt that they do not have enough time to prepare for the examination. The new exam schedule will be released by the Commission within the next two days, as reported. Candidates who are appearing in the examination can check the official site on regular intervals for details on AP DSC 2018 Exam schedule. Please Bookmark theprimetalks.com by pressing CTR+D on your Keywords for Latest updates on AP DSC 2018 Exam time table.